The Original Equal-i-zer Sway control hitch has been enjoyed by thousands of trailer owners for the over 70 years we have been keeping families safe on the road. Every hitch is built from the highest-quality American steel in the Mountain West by people who care about the safety of your family. Each hitch is backed with a lifetime warranty, providing you with complete confidence you?ll get what you pay for. The Equal-i-zer team leads the industry in manufacturing the highest quality trailer hitches on the market. In fact, we have been voted the best performing sway control hitch in America, five years in a row. No other hitch has received this recognition. 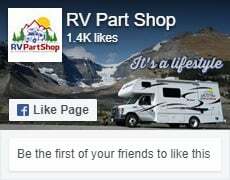 We appreciate your business and are committed to providing excellent customer service and superior trailer accessories .